How would you describe your best salsa recipe? Hot? Spicy? Fruity? Tangy? Or just plain yummy? No matter how you describe it, chances are you have used it as a dip for chips, on top of fried eggs, and as a burger topper. You’ve discovered that adding your favorite salsa to a breakfast burrito makes it a great way to start your day, and that mixing it with melted cheese and pouring it over tortilla chips makes the perfect nachos. Perhaps you gather fresh peppers, onions, tomatoes and cilantro from your garden, and adding your secret ingredient make and can your own salsa. For years you adjusted your salsa, sometimes adding chopped apples, and other times adding corn, peaches or black beans and then canning it in decorative jars. 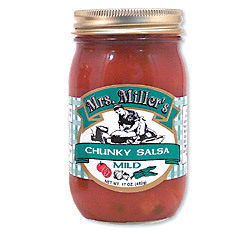 Then at Christmas, family and friends were thrilled to get a jar of your best salsa recipe. What's Your Best Salsa Recipe? 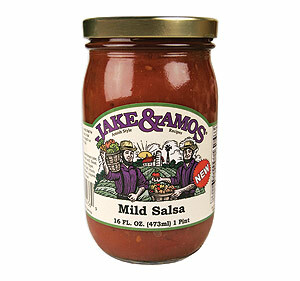 Do you have a great salsa recipe that your family just raves about? Whether it's a recipe for your best salsa or a recipe using salsa, why not take a few moments to share your recipes with others?